Open 10am - 11:30am for Brunch Sunday. Bridge Street Kitchen is a haven to relax and call your own. Whether looking for a great coffee, freshly baked, home made cakes in the morning, a light lunch or a delicious dinner. In the evening come and enjoy our bustling atmosphere. Our menu has something for everyone and our approach is pretty simple. We focus on delicious freshly made food using the best ingredients around. As well as our food why not sample one of our hand selected wines from our great wine list. A bold statement, but I think possibly the best burgers in Scotland! Another great visit to BSK. A gem of a place - fantastic food & service. So glad this is on our doorstep! A great evening. Only suggested improvement would be to have a Sauvignon Blanc by the glass in the wine list, and possibly a Malbec too. We dined with you in our first anniversary and we both felt the food, service and atmosphere to be excellent. In particular the quality of the terrine and piccalilli, the cooking for the fish for the halibut and a brownie as light as it was rich. Thank you. Great in every way, I’ll be back ! 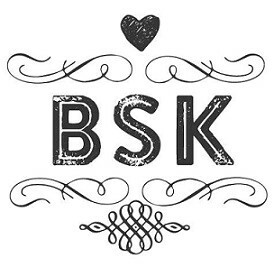 Introduced more friends to BSK for Hogmanay lunch. They can see why we visit so often as they loved it. Good food as they expected but particular comment was made about “the owner” and his relaxed friendly nature - attention to detail without being over powering, “just right” and “a lovely atmosphere”. Great atmosphere and friendly service. Wonderful food and wine. It was a relatively quiet lunchtime when we visited. Generally, a nice experience. All of those choosing the beef burger felt that it was much too dense and was over “flavoured” everything else was very good. Delicious, as ever. Love coming here for dinner on regular basis. A delicious meal in a relaxing and friendly atmosphere. Consistently delivers a great night out! Personally speaking I’d like more on the menu that didn’t have cheese cheese cheese in it...I don’t like it and don’t eat it. Apart from that I really enjoy my time at BSK. Lovely staff and atmosphere  the food was also exquisite.